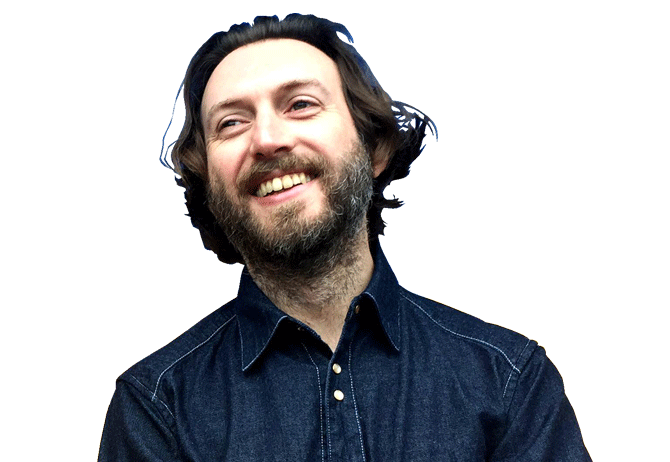 Beloved by DJ Harvey, Todd Terje and Prins Thomas, top producer and founding member of !!! (Chk Chk Chk), Justin Van Der Volgen will perform at Disko Klubb, organized by MONKEY TIMERS, at Omotensado VENT on September 23rd! Founding member of the most insane dance-punk group ever, !!! (Chk Chk Chk), who was producing their tracks throughout their golden era, Justin Van Der Volgen, will be coming back to Japan on September 23rd to play DISCO KLUBB, organized by MONKEY TIMERS (the same event and crew that brought over ATA last month!) at VENT! Van Der Volgen left !!! in 2008 to focus on solo pursuits. Since then he’s dropped smash hits on multiple labels like Golf Channel, DFA, Throne of Blood, ESP Institute, and Eric Duncan’s Keep It Cheap, as well as remixing tracks for Todd Terje and lending a hand under a different moniker on some disco re-edits, which have been super popular in Japan – literally flying off the shelves at local record shops. His works have been adored and played, heavily, by many a notable DJ, including DJ Harvey, Eric Duncan and Prins Thomas. Armed with a massive selection of records and an impeccable ability to structure amazing sets while masterfully blending only the most solid tracks, Van Der Volgen’s mixes have received very high praise from music junkies the world over. Accompanying him on the lineup are the same local acts as the last time around, Force of Nature and MONKEY TIMERS (to whom Van Der Volgen will provide backup). Get ready for a night of pure madness with music spanning a variety of styles, all masterfully mixed. Don’t miss this gig!